I think the first neighborhood looks ideal to use for extra commercial/public lots, since it is bordering a commercial area anyway. To me, this world is a no-lose situation, since I love the game and extra lots will be nice, and it is free. I hesitate to comment because I do not enjoy drama. I appreciate that you took the time to put out the information along with different opinions on it, thanks! Thanks for commenting. I agree that for me this is a no loss situation and free and always gesture. I love the idea of another commercial area and have wanted to build another commercial district but have not had the room to do so. 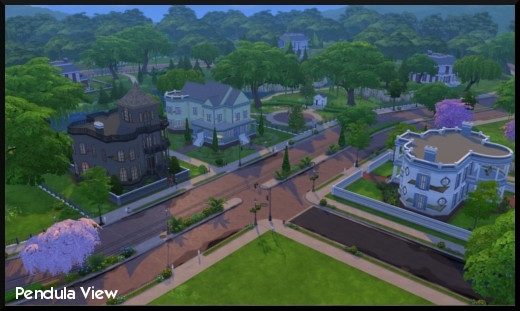 I think they are meant to look similar as oasis springs, willow creek, magnolia promenade, and Even granite falls all appear to be part of the same area, connected. If you look you can see the promenade shopping near willow creek, the city which hopefully may come next or could represent the gtw lots, and even the mountains and forest of granite falls. I like that it has had a similar vibe and seems to be connected. People will always complain and never be happy. I think it’s great that we get all these free updates and that they are listening to us. I absolutely agree that the free updates are great and it does seems like they are listening more and trying to include what the fans want. It’s a refreshing change for me. Totally agreed! I love the free content updates and I hope they release more paid content soon. I love GTW, Outdoor retreat and Luxury Party Stuff! People complain about things but when they make an effort to please them they still complain that it is either not enough or they should not have had to it in the first place. Make up your mind. Are these people like this in their everyday life? Angry at loved ones for making mistakes or not doing as expected and then when they make and effort they still drag them down because they feel like it should have been done the first time? People and company’s make mistakes. You can complain but then not accept their apology or improvements. Makes no sense. Sorry I’m so wordy! I think that it is a very good point, I believe you are right that many people complain because they have other issues in their lives and this is a good outlet for their general frustration and anger at life. The complainers have gotten quite a few things accomplished, however they cannot see their own progress and are constantly dissatisfied.